*Admission is free for persons with disability and 1 caretaker. Please present the necessary documents. *( ) reflects the cost for late admission after 5 pm. Entry is only valid on day of purchase and can only be bought after 5 pm at the ticket counters. *( ) also reflects the cost for persons over 65 years old. Please present the necessary documents showing with birth date such as health insurance card and driving license. Daihō’onji temple, also known as “Senbon Shakadō,” is an ancient temple in Kyoto. 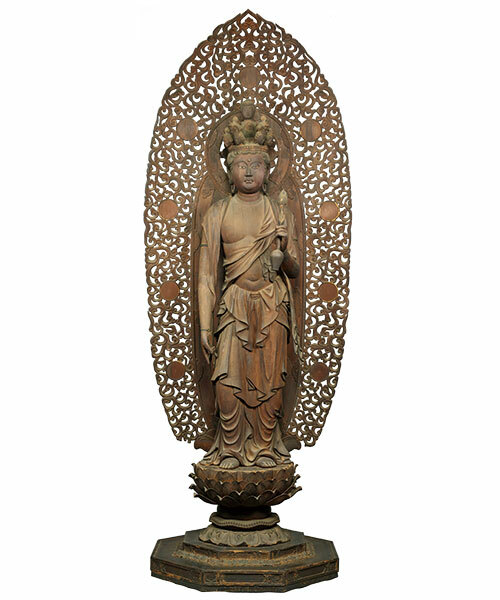 It was founded by the Buddhist monk Giku in 1220, during the Kamakura period. 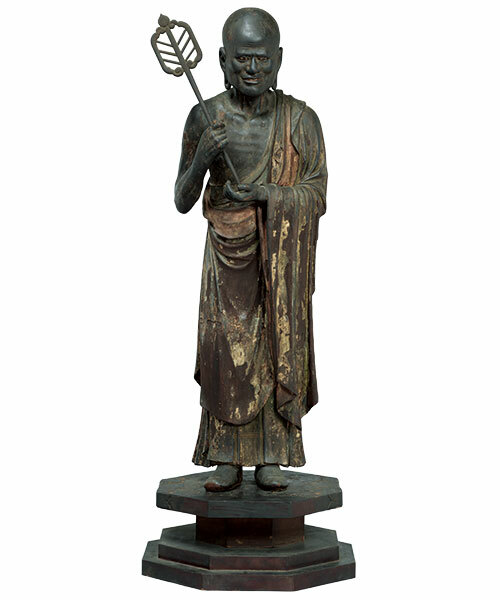 Daihō’onji preserves several masterpieces of sculpture. 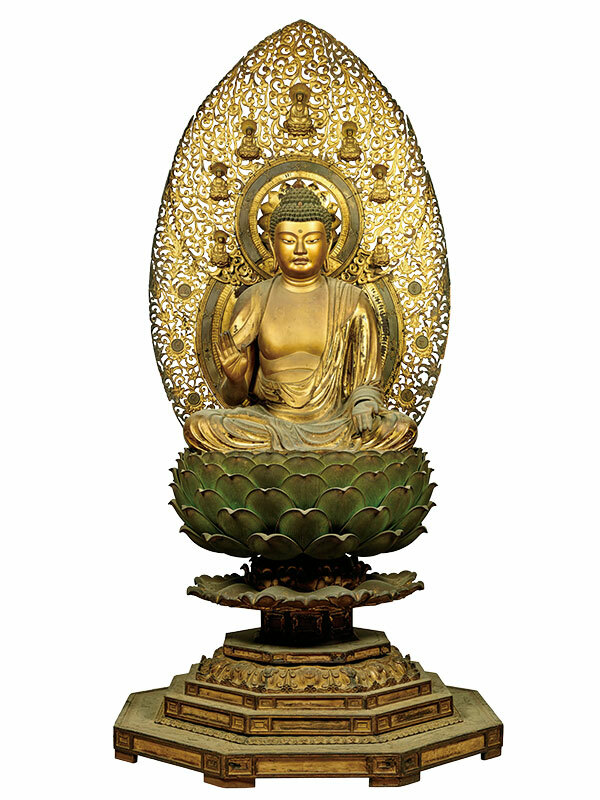 These include the Ten Major Disciples of Buddha statues by Kaikei, a seated statue of Shaka Nyorai (Sakyamuni Buddha), which is the temple’s principal object of worship created by Gyōkai, a talented student of Kaikei, as well as statues of the Six Manifestations of Avalokitesvara by Higo Jōkei, a student of the renowned Buddhist sculptor Unkei. 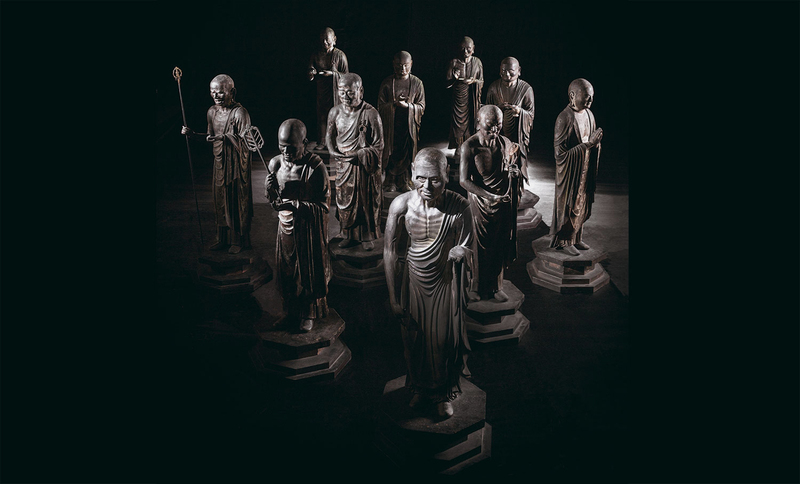 This exhibition marks the first time that all these statues are displayed together outside the temple. 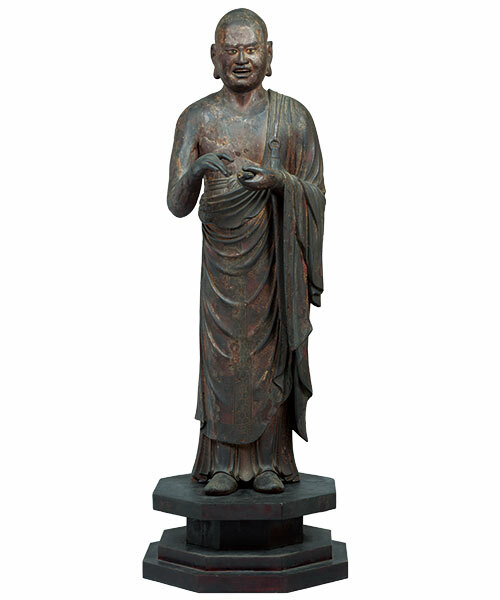 Through these masterpieces, this exhibition provides a prime opportunity for visitors to examine the masterpieces of the next generation of Buddhist sculptors of the Keiha School that succeeds Kaikei and Unkei. We wish to express our deep gratitude to all who have offered their support or assistance in the holding of this exhibition. We cordially invite visitors to pay a visit to Daihō’onji and its Main Hall (National Treasure), the oldest wooden structure in this city, if they ever come to Kyoto, where seasonal events are held throughout the year. A collection of masterpieces by Kaikei, Jōkei, Gyōkai! The Senbon Shakadō, or Daihō’onji Temple, is a well-known treasure house of Kamakura sculptures. 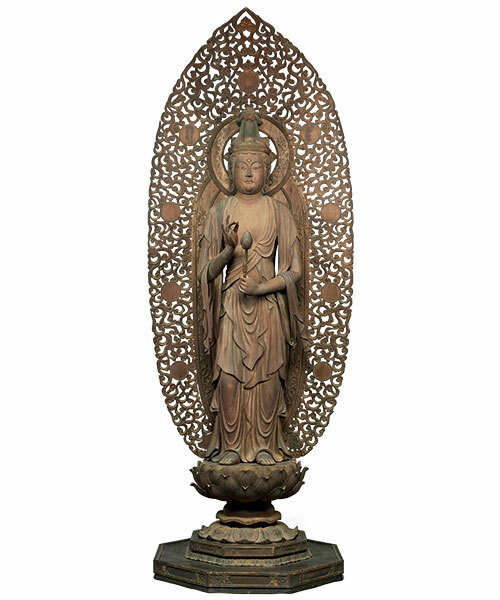 This exhibition commemorates the 800th anniversary of its founding in 2020, and showcases masterpieces proudly created by the Keiha School of Buddhist sculptors in one place. 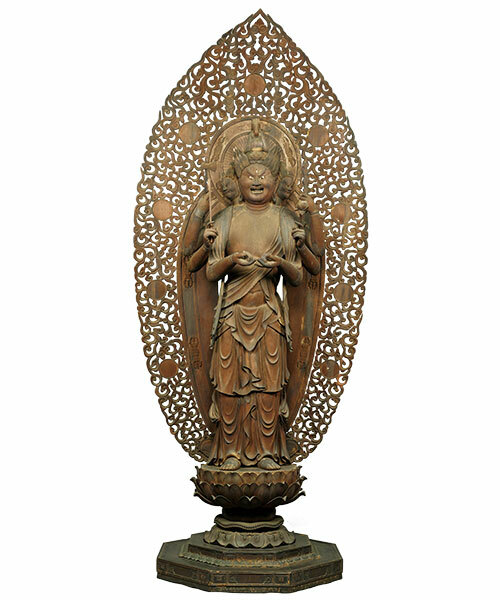 The collection of masterpieces by the superstars of Keiha school that appeared before in Nara National Museum’s “Kaikei Exhibition” in 2017 and Tokyo National Museum’s “Unkei Exhibition” will be displayed. 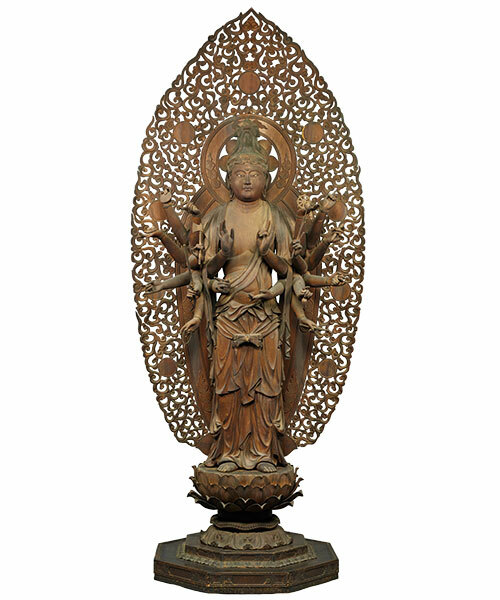 A 360° view of masterpieces from the Keiha School. 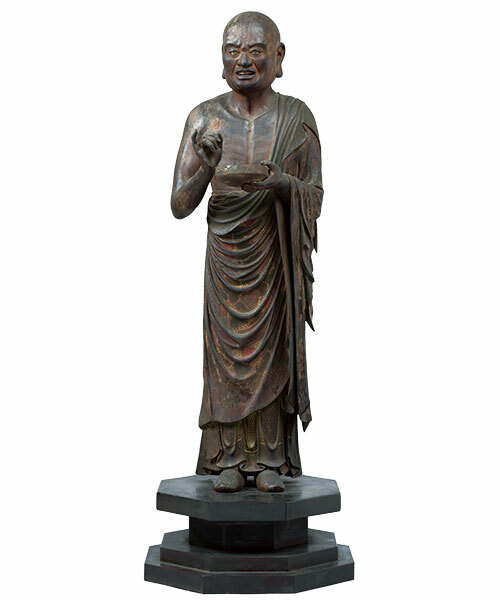 Shaka Nyorai, the treasured legacy of Kaikei’s top disciple, Gyōkai, Kaikei’s masterpiece created in his last years: Ten Major Disciples of Buddha, and statues of the Six Manifestations of Avalokitesvara by Higo Jōkei. These three Important Cultural Properties can be seen in 360°, or even pay your respects if you wish to do so. Photography is allowed for all six statues of the Six Manifestations of Avalokitesvara in this exhibition. 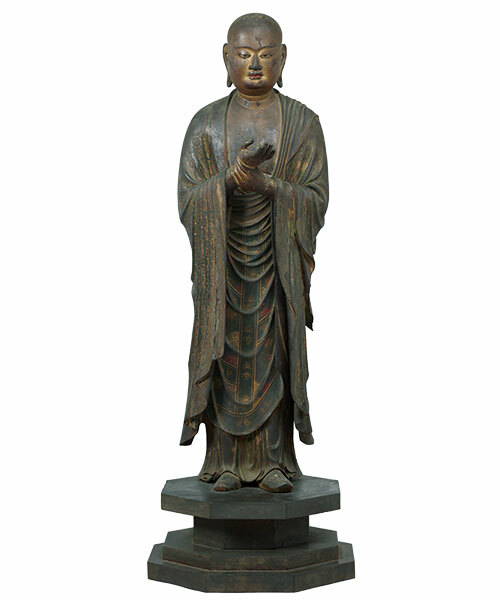 (The exhibition in Tokyo only allowed photography for one statue, the Standing Sho Kannon Bosatsu). Created when Higo Jōkei was 41 years old. 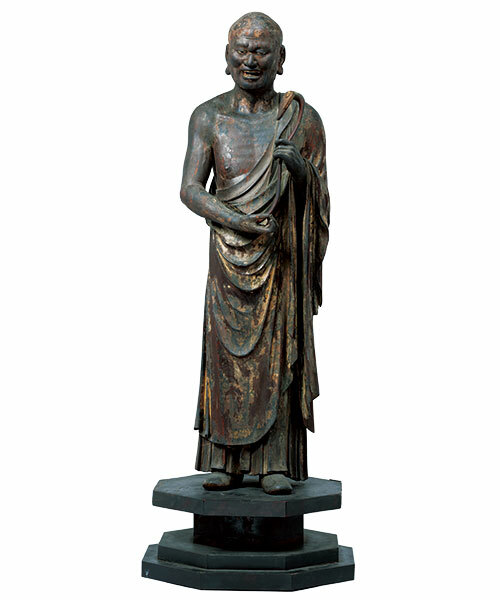 In addition to Kyoto, he was active in various regions, leaving behind masterpieces in the Tamba-Mino region and the eastern provinces which were under the jurisdiction of the Kamakura shogunate. He has inherited Unkei’s style while also displayed his characteristic style in the complex clothing folds and ornate hair designs. 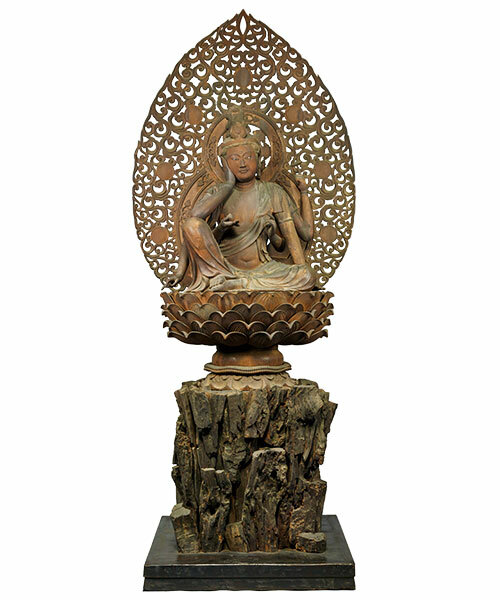 Photography allowed for all statues of the Six Manifestations of Avalokitesvara. Masterpiece by Kaikei’s top disciple, Gyōkai. First Museum Debut! Daihō’onji Temple’s principal object of worship usually withheld from public view. 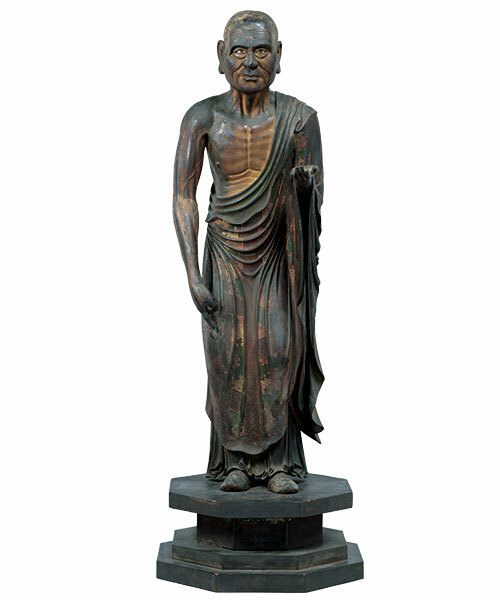 Gyōkai who was from the same generation as Tankei, Unkei’s eldest son, had been active in Kyoto and Nara, succeeding Unkei and Kaikei as a Buddhist sculptor. 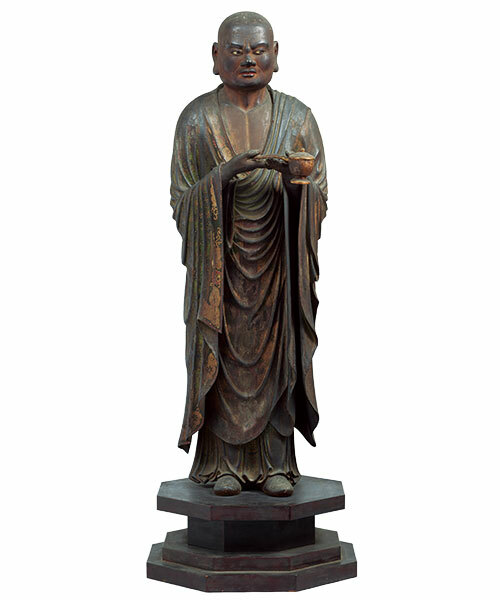 He had assisted his teacher Kaikei in sculpting and built a deep sense of trust. 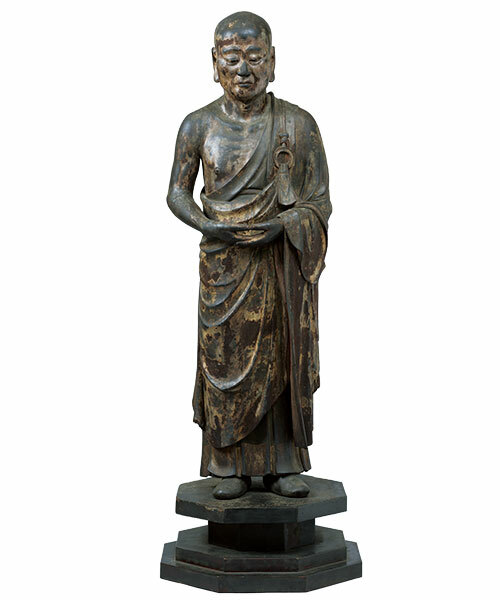 Buddhist statues sculpted by Gyōkai is reminiscent of Kaikei’s style, which features long and narrow eyes with an intense gaze. 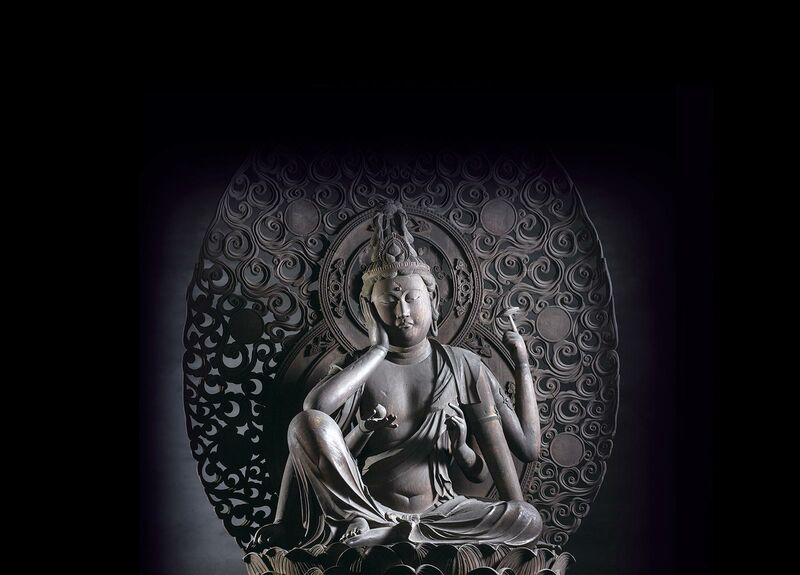 Masterpieces by Buddhist sculptor Kaikei. 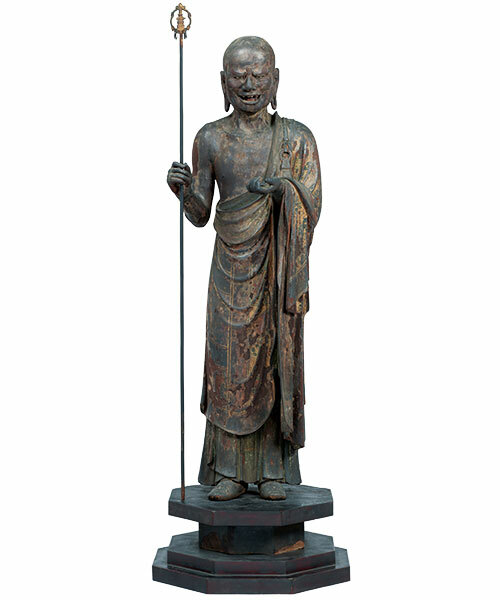 While Kaikei’s inscription was acknowledged only on the “Standing Mokukenren” and “Standing Upari” statues, there is no doubt that these statues were crafted by Kaikei’s hand. 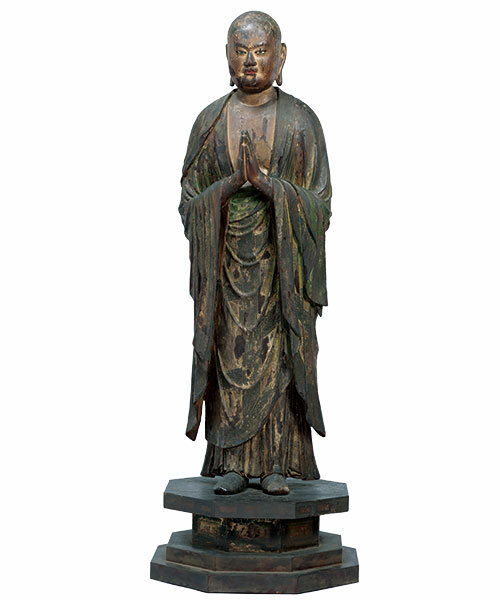 The statues were highly intricate, expressing the qualities of virtuous high priests. The completion of these sculptures had attracted apprentices in great numbers. Copyright © 2005 - Kyushu National Museum.